Every month we feature a woman who has shown exemplary leadership and showcase her story. The women among you come from diverse backgrounds and roles and bring a unique perspective to gender equality within the energy sector. Jacqui Nelson is the General Manager Operations at Contact Energy, Ltd. In this role, she is accountable for key operational performance metrics such as safety records, improving plant reliability, reducing cost base, increasing generation volumes, and improving employee engagement. She is a key leader within the Generation & Development business unit which is responsible for delivering 80% of Contact’s EBITDAF and is accountable for the financial management of the company’s largest cost budget. 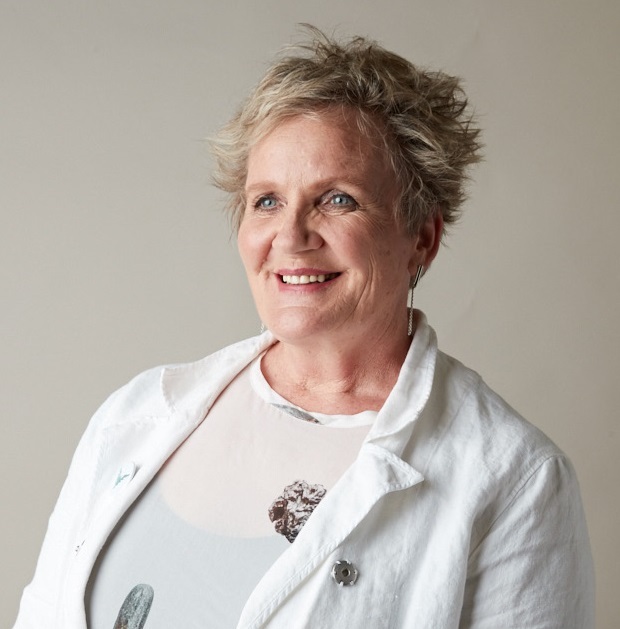 Jacqui Nelson graduated with a Bachelor of Science in Chemistry from Otago University and is a member of INFINZ, the Institute of Directors, and Global Women Associates. 1. How have your education and career path led you to where you are now? Interestingly, my education (a degree in chemistry) has had less bearing on where I am today than other drivers. What has been more influential is a constant desire to learn new skills and look for opportunities where I can apply them in ways that enable me to have fun and add value. One thing that hasn’t changed is how I approach things. I’ve always backed myself, grasped opportunities as they present themselves and been open to challenge. I have my parents to thank for that. They were quietly encouraging of whatever I undertook and never questioned my capability or the path I’d chosen. I believe support is crucial to helping women realise their full potential and I’m a firm believer in the power of ‘women supporting women’. I think it’s important not to have a fixed mindset about where your education might lead you. As an example, when I graduated from university with my degree in chemistry in my early 20s, the first job I applied for was as an Economist in a bank. Surprisingly, I got an interview. While I was turned down for the economist job, the bank liked my attitude, and instead offered me a job in international banking. Since then my career has been a constantly iterative process of developing different skills, putting them to good use, connecting with different people and trying new things. At the bank I progressed through a variety of roles in the markets division from foreign exchange dealer until I became Manager of Domestic Markets – a far cry from my days studying chemistry. Up for a new challenge I then spent nine years working as a treasury advisor for Airways New Zealand before joining Contact as its Corporate Treasurer. I have a real passion for developing people and finding innovative solutions to improve and optimise the areas for which I have responsibility for, and for making them safe, inclusive and enjoyable places for the people who work in them. I’ve been very fortunate to have had the opportunity to do this in a diverse range of roles here at Contact, including as Treasurer, Head of Land, Environment and Consenting, Head of Electricity Markets, and now as General Manager Operations. 2. Over the course of your career, have you witnessed changes in the sector that have launched more women into leadership positions? Absolutely. We have an incredible legacy here in New Zealand when it comes to gender equality, which has made many of the changes I’ve witnessed in the sector possible. I feel very privileged to have been brought up in a country that has been championing gender equality and equal opportunity since 1893, when New Zealand women were the first in the world to win the right to vote. Today we have a legal framework that gives women full and equal rights and a society where women feature at the highest levels of our government and judiciary. We have had three female Prime Ministers, of whom one is in office today, two female Chief Justices and three female Governors-General. This has provided a great foundation on which to improve gender equality at all levels and ensure that ‘equal opportunity’ exists alongside ‘equal rights’ for all women in New Zealand, especially for our ethnic and migrant women where there is still much work to be done. In the sector I have witnessed a shift away from a technical focus on leadership roles to appointments made on strategic and people management capability, greater transparency of diversity metrics and improved female participation at an industry level. As an example there were 10 participants at the Women in Engineering and Technology Conference back in 2015, and this year there were close to 150. For our industry this is an awesome result. 3. Technology is transforming the traditional utility business model into a more modern interactive grid. Some utilities view this transformation as an opportunity to focus on change management and diversity. Research provides compelling evidence that inclusion and diversity unlock innovation and drive better business performance. What, if anything, is your organisation doing to attract, retain and promote more women into senior management positions to respond to dramatic industry transformation? Technology is certainly having profound impacts on our industry as an enabler for transformation, although I like to think of it as ‘evolution’. At Contact it’s enabling our people, our plants and our business operations to be more innovative and responsive to change. Interactive grids, virtual power plants and distributed energy systems are where technology is taking the electricity system, but technology is also playing a much wider role for us by creating new opportunities for our people. The interactive maintenance work-management systems, mobile-based technical inspections, and sensor and IOT (Internet of Things) based systems we’re developing are helping our steam-field technicians to manage data better, leading to better decision-making. We are also harnessing technology to enable greater diversity, provide a flexible workplace, break down siloes and create a more connected workforce. I think it is important to note that when I talk about diversity at Contact, I’m referring to diversity of thought. We’re trying to drive diversity at all levels (eg ethnicity, age, background and skills), as well as gender, and technology is helping us do that by enabling us to tap in to our human energy to make change management more seamless. Alongside enhanced parental leave provisions, another thing we’ve set up here is Contact Flex, which recognises the importance of work flexibility to the health and wellbeing of our people. Contact Flex offers a range of flexible working options, including one that recognises the importance of flexibility to mothers returning to work from parental leave, and it’s helping us to retain more of our female workforce. We have also enabled Skype on people’s desktops to provide even more flexibility to stay connected and work from home. Our approach to flexible working is designed to ensure that we retain those employees for whom a traditional approach to working hours or workplaces may not fit. We also provide opportunities for our leaders to attend specific industry events, such as Women in Engineering, Women in Technology and Women in Digital. These events provide forums for our people to connect with other leaders, share ideas and collaborate on important themes such as addressing the gender imbalance in technology, technical and engineering roles. Another thing we’ve used technology for is collaboration. One example is an online tool that we’ve developed, which lets everyone in our business pitch improvement ideas, raise challenges, seek help and contribute to ideas raised by other people. It’s been a great way to break down hierarchies, improve diversity of thought and empower our people to lead change. Most recently we reviewed our talent acquisition model and replaced it with a new model that has an explicit focus on diversity at all stages of the recruitment process. We’ve been through an exercise of reviewing the language we use in our recruitment advertisements to make it more inclusive, and our candidate shortlisting will see us remove names from CVs to completely rule out gender (and other) bias. 4. Are talented women within your organisation making it to top leadership positions? Why/Why not? Women hold a number of top leadership positions at a corporate level across Finance and Risk (67%), Customer (42%), Governance (80%) and People and Safety (50%). Altogether, women hold 40% of senior management positions across the organisation. It’s fair to say that we’ve got a lot more work to do, especially in the operations side of our business, where 12% of our workforce is female and women represent 21% of senior management roles. This is due, in part, to the low uptake of women into engineering degrees and the narrow perception amongst our young women of what opportunities exist in the sector. Right now, the pipeline of talent is not coming through. So, in addition to ensuring gender diversity at senior management level, we also need to tell more stories about what is possible to encourage greater uptake of women into engineering degrees. Contact is a founding member of Engineering New Zealand’s Diversity Agenda, which recognises that while other professions have increased their proportions of women, in the engineering industry women remain significantly underrepresented at senior levels. This is true for operations more generally. The Diversity Agenda is about driving change in New Zealand’s engineering and architecture firms and has a goal of getting 20% more women into engineering and architecture roles by 2021. We are also a supporting partner of Global Women, whose purpose is to increase diversity in leadership in New Zealand. Our Chief Executive is part of Champions for Change – a group of 53 leading CEOs and chairs, each with a personal mission to accelerate inclusive and diverse leadership in our workplaces. At our Te Rapa power station, Rachelle Meijer, one of our female engineers represents us in an initiative called the Secondary School Employer Partnership, which connects employers from a range of sectors with year 9 and 10 students. As part of the initiative she has partnered with a local girls’ college to run in-school classes on electricity generation and talk to the students about her career path. We also host the girls at the power station to give them first-hand experience of what it’s like to work there. At our Clyde power station, Jen McLean, one of our female electrical generation technicians, hosts around 30 girls at the site for a day each year through an initiative called Girls with Hi-Vis. The purpose of the initiative, run by Connexis (a local infrastructure industry training organisation), is to highlight opportunities for women in trades and in technical roles in the industry. We are also a member of WING (Women in Geothermal), which is a global movement aimed at the promotion, education, professional development and advancement of women operating in the sector. One of our geothermal chemists, Abbie Dean, was the New Zealand Ambassador for WING in 2016 and led a campaign aimed at recruiting men. As part of writing WING’s five-year vision, Abbie set the goal of having 50% male membership, out of a target of 1500 members, by 2020. Part of Abbie’s involvement with WING is to promote the many technically brilliant women in our sector doing inspiring things as leaders. 5. Companies that embrace diversity outperform their competitors. What types of diversity programme does your organisation have in place to mentor future women leaders? How does your organisation measure and report on gender diversity? Is the data publicly available? We know that companies with gender-diverse workforces deliver better commercial results. At its most basic, Contact is committed to ensuring that there are equal opportunities for all current and future employees. Our female employees earn on average 97% of the average salary of male employees in the same salary band, and we were ranked first in the 2017 Thomson Reuters Diversity & Inclusion Index. we have been awarded the Rainbow Tick, a New Zealand mark of confidence for organisations that complete a diversity and inclusion certification process. The process tests whether a workplace understands, values and welcomes sexual and gender diversity. We’re proud of these achievements but also recognise that they are milestones on a journey to make diversity and inclusion a self-sustaining behaviour within our organisation. 6. What actions should the energy and electricity sector be focused on to accelerate change, increase diversity and foster a better gender balance in the boardroom? I think we need to do more to listen and respond to what our female workforce is telling us they need to feel supported. 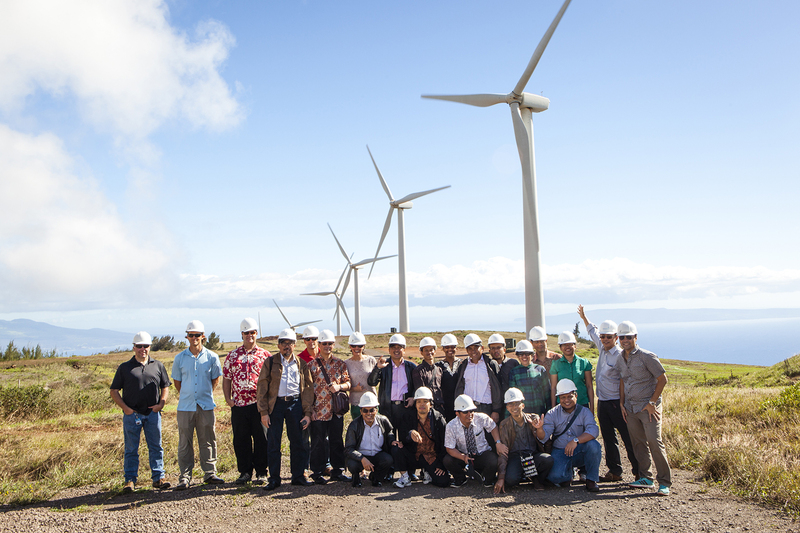 Last year Contact hosted the New Zealand Geothermal Workshop at our Wairākei site. I was privileged to present alongside New Zealand’s Minister of Energy and Resources, Megan Woods, who spoke passionately about the economic sense behind achieving gender equality in the sector, and how it’s not just a moral issue. I shared my experience of asking our women across our business unit how I could support them more effectively, and more generally how we can better support each other. There was consensus that we’re doing some things really well but we have a very wide range of how our people feel supported. Generally our female workforce don’t want gender difference to exist in the workplace, and that everyone (irrespective of gender) wants to be accepted, feel included and valued. I heard that we need to have more courageous conversations and call out behaviours that are obstructive to an equal and inclusive workplace as they happen and a real need to equip our people with the skills to do this in a safe way. While we’ve come a long way, I think we can do more to encourage internal movement within our businesses to bring different ideas forward and create a stimulating and engaging workplace. Ultimately, we need to equip our people, especially women, to be courageous leaders and lead the way for younger generations. In the past couple of years we’ve increased our investment in leader development and mentoring through programmes that have shifted our focus from a rules-based culture to one of empowerment and collaboration. We know that implementing these things has helped our women to build confidence and take on new opportunities. Lastly, we need to demonstrate how exciting and diverse a career in Operations can be and continue to promote the value women in the industry bring.